Thanks to this lovely sunflower yellow neck cowl for dogs, your dog will not only be protected against the cold weather but also looks elegant and stylish for every occasion. A classic moss stitch - detailed and precisely finished. This luxury dog neck cowl is handcrafted. 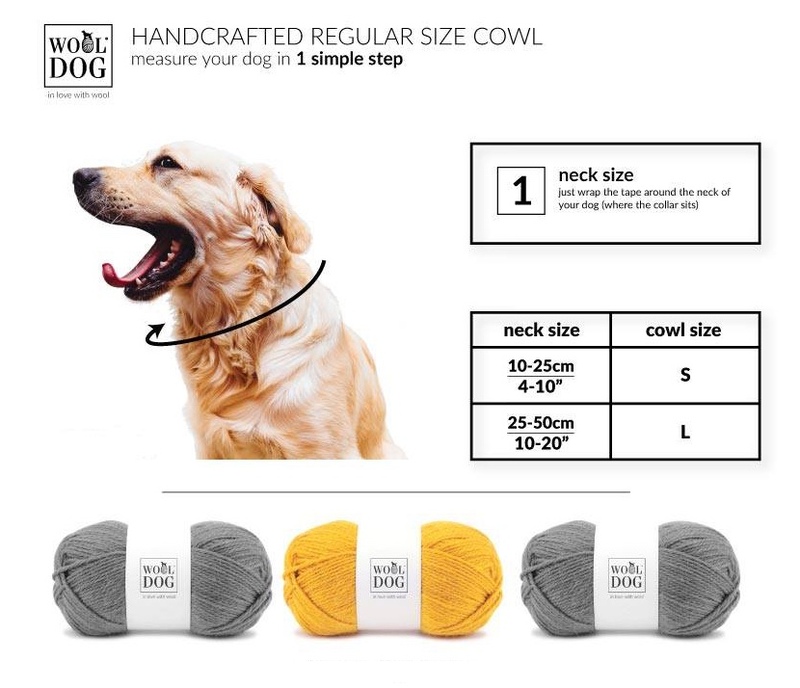 PLEASE NOTE: All Wooldog products are shipped from Poland so please allow 1-2 weeks for delivery and sometimes a little longer during peak periods. Should you need to return or exchange a Wooldog product, you will have to send the item back to them directly in Poland.